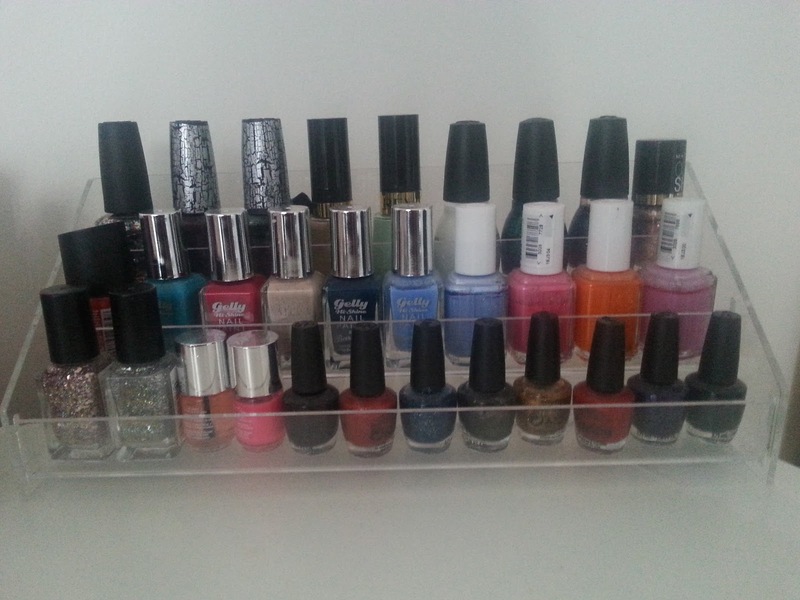 In a recent room make over, I wanted to invest in some make up storage but not pay a lot for the famous MUJI! So I went on to Amazon after researching a little bit and found that there are several other alternatives that you can buy as well. I have collected these over time, and I am now thinking I have completed the collection to fit the things I have. 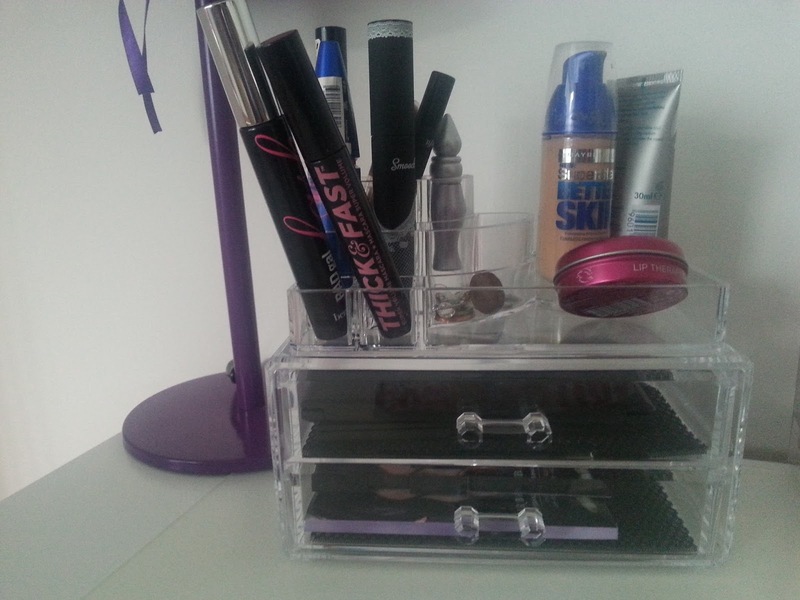 I also store my makeup in some draw dividers underneath but that is very messy! In real life you can see that it makes everything look much neater and cleaner, and brings the room together. This is the one that I have had for the longest and what started the obsession off! This three tier one isn't actually enough for me and all the nail polishes I have, so instead I just store my nice ones and mostly used ones on this stand and try to arrange them by brand. I am always swapping everything around when we change seasons or even my moods. This is the newest addition to my family of storage things, I seem to have accumulated a lot of lip products lately and even though I had a ikea pot with them all in I was finding it a real struggle to find the one I wanted in the morning and so I when I set this one up it made my life easier. It is very messy and still gets adjusted every now and then but for the time being it looks amazing in the middle. And then finally, the one I got for Christmas. There are many different variations of this design you can more than two draws, one big draw and even more sections at the top.As my parents ordered this I don't actually know which and where from they did, but I think I have linked the right one. I love this one because I can literally store anything in, from foundations to lip products you find a way to place everything. My only bug bear is that the draws and really small, in depth so your can't fit alot in and in width so the bigger palettes like the urban decay ones don't fit. But there are bigger versions which I hope to swap to in the future. If you have a good look on Amazon you will see there are two main sellers and they sell a variety of different clear cosmetic holders, and you just need to browse and find your preference. I want to definitely get more in the future or even one that can store everything. But as I think that MUJI is expensive and not available straight away for me, this is the next best option and does the job perfectly! Hope you enjoy and this give you more of an idea! 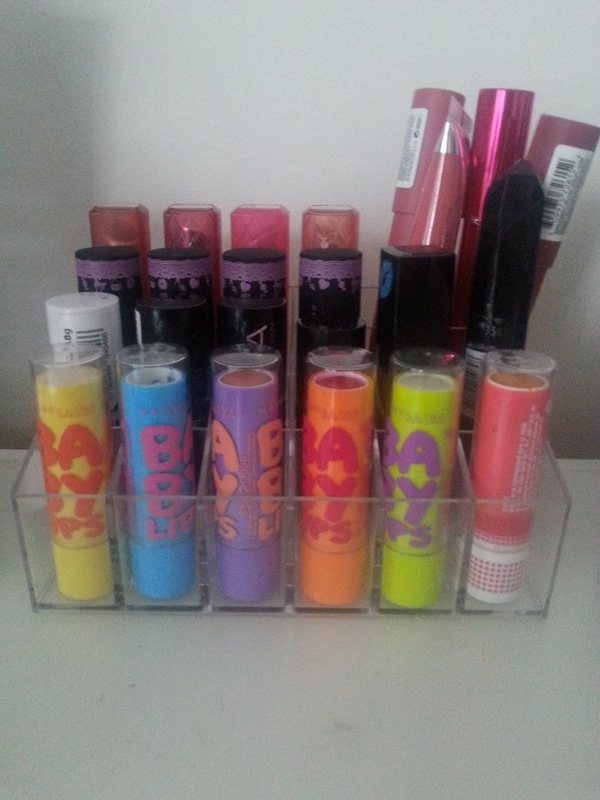 Oooh I love the lipstick holder, I think I could do with one of these!